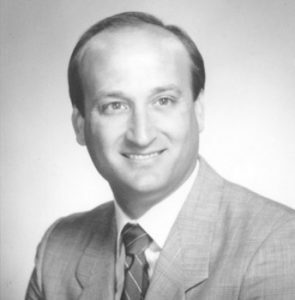 Andrew D. Mangano first worked for Mangano Company, Inc. as a Field Manager in 1978. He was appointed Chief Financial Officer in charge of financing and developing the company's major projects in 1982. Six years later, Andy was appointed President of the Mangano Company, Inc.
Mangano Company, Inc. was recognized by Professional Builder Magazine from 1989-1991 as one of the largest home building companies in the nation. The company was also recognized as one of the fastest growing private companies in the country by Inc. Magazine's "Inc. 500" in 1989 and 1990. Centex Real Estate Corporation acquired Mangano Company, Inc. in 1991 and Andy served as President of its Central Valley division until 1996. At that time, the Central Valley operation had revenues of over $80 million and production sales in excess of 630 homes. In 1996, Andy started Mangano Homes. He developed a 120-acre project in Visalia for empty - nesters consisting of old style Santa Barbara architecture, focusing on guest homes and casitas. Andy was instrumental in the start-up of the Building Industry Association of Tulare/Kings Counties. In 1989, he was elected Builder of the Year, and in 1990 served as the organization's President. Throughout his career, Andy has served on numerous nonprofit boards. In 1993, he built a home for Habitat for Humanity --the first time a project of this type had been undertaken by one builder in the Fresno area. Later, Andy donated a home to Fresno Valley Children' s Hospital for their fund raising events. Assemblyman Bill Jones and the State Assembly recognized Andy and Centex in 1994 for service to the people of California. Andy has also been recognized by the City of Visalia for service to the needy. Andy and his brother, Craig, oversaw the construction of a free medical clinic for Catholic Social Services, a project donated by the Mangano family and their suppliers. ​Andy and his wife, Laurie, are the parents of three grown children, Matt, Julie and Lisa. In his spare time, Andy enjoys running, snow skiing, racquetball, cycling and golfing.